If you’re an ambitious entrepreneur looking to take on the world, you’ve probably been walking, talking and sleeping ‘export’ for the past five days as Export Week sought to give you all the advice you need. However, if you’re a very busy ambitious entrepreneur, things might not be so simple. You may not have had the time to attend related events every evening, follow the #ExportWeek Tweets morning and night or read every single blog post on the topic. Sometimes, however empowering a business event may be, you just can’t take the time out to follow it properly because you’re simply too busy running your business! 1. “No new market ever looks the same” explains the (UKTI) UK Trade & Investment. The first lesson for you to learn. Even within the European Union every market has its specificities – and these include challenges as well as opportunities meaning what works at home might not bring you success elsewhere. Market research is key. 3. “Go to the markets that are moving the quickest” is the top tip from Tom Adeyoola, CEO & founder of Metail – the online fitting room app, who spoke at the Celebrating Exports event at City Hall on Monday. When choosing where to move, make it all worthwhile by going somewhere you can make sales quickly. 4. Don’t miss opportunities! Indeed your diary is chock-a-block trying to get your business off the ground but what if one event could be your fast-track? An impressive 70 ‘Export Week’ events were held across the UK this week, supported by pioneers from the Deputy Mayor of London for Business and Enterprise Kit Malthouse to Dragons’ Den investor Kelly Hoppen. Go on, get out and about! You never know what may come of it…Maybe a whole new market! 5. “Get as much advice as possible” says the picture below shared by the East and West Midlands office for the Cabinet Office Regional News Network. 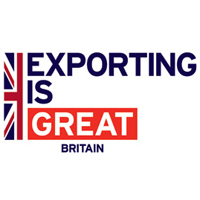 Indeed, you can do all the desk research in the world but nothing beats hearing the experience of experts or peers who have been there and seen how exporting works for themselves. If Export Week proves one thing it’s that the right support is here for those who need it. For more great tips and advice on exporting, visit the UKTI website and read back through all the #ExportWeek Tweets on Twitter. I feel there could become a couple duplicates, but an exceedingly handy record! I’ve tweeted this. A lot of thanks for sharing! I think technological know-how just causes it to be even worse. Now there’s a channel to under no circumstances treatment, now there wouldn’t become a chance for them to find out. I think there may perhaps become a couple duplicates, but an exceedingly handy listing! I’ve tweeted this. Quite a few thanks for sharing! to locate troubles to improve my website!I suppose its ok for making usage of a number of of the concepts!! Among me and my husband we have owned more MP3 gamers through the years than I can count, which includes Sansas, iRivers, iPods (common & touch), the Ibiza Rhapsody, etc. But, the last few many years I’ve settled down to one line of gamers. I believe there may be a number of duplicates, but an exceedingly helpful record! I’ve tweeted this. Quite a few thanks for sharing! I think there could become a few duplicates, but an exceedingly helpful checklist! I have tweeted this. Quite a few thanks for sharing! Among me and my husband we have owned much more MP3 players through the years than I can count, which includes Sansas, iRivers, iPods (classic & touch), the Ibiza Rhapsody, etc. But, the last few many years I’ve settled down to one line of players. Amongst me and my husband we have owned extra MP3 gamers through the years than I can count, which include Sansas, iRivers, iPods (classic & touch), the Ibiza Rhapsody, etc. But, the last few ages I’ve settled down to one line of gamers. Very good Early morning, I just stopped in to go to your web site and believed I’d say I experienced myself. Very good facts is usually discovered on this internet blogging site. Excellent operate you have accomplished, this page is admittedly interesting with superb information. Time is God’s method of keeping all the things from going on without delay. Excellent do the job you have completed, this website is absolutely interesting with amazing facts. Time is God’s way of retaining anything from happening without delay.